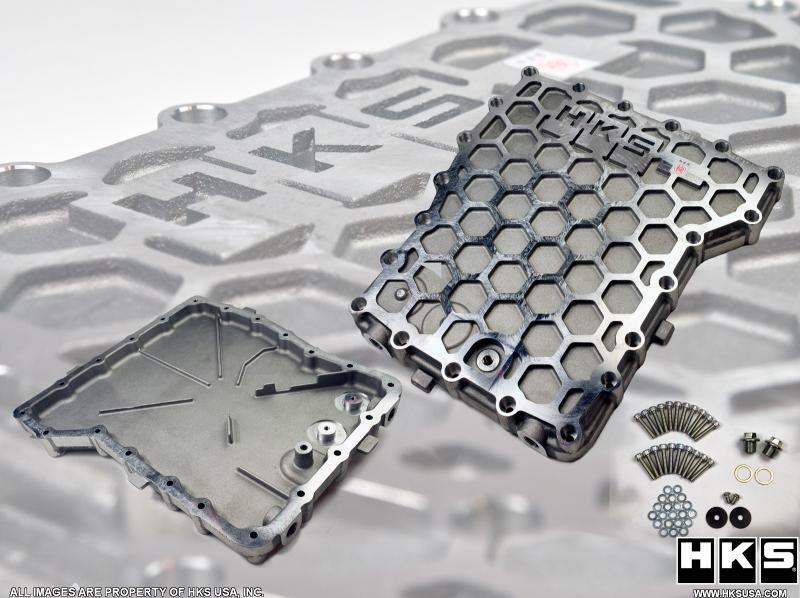 HKS Transmission Oil Pan for the GR6 NISSAN GT-R R35, utilizes high strength Aluminum casting “honey comb” design, which can improve the rigidity of the transmission case. The load to the internal components can be reduced, and the gears will rotate more smoothly. 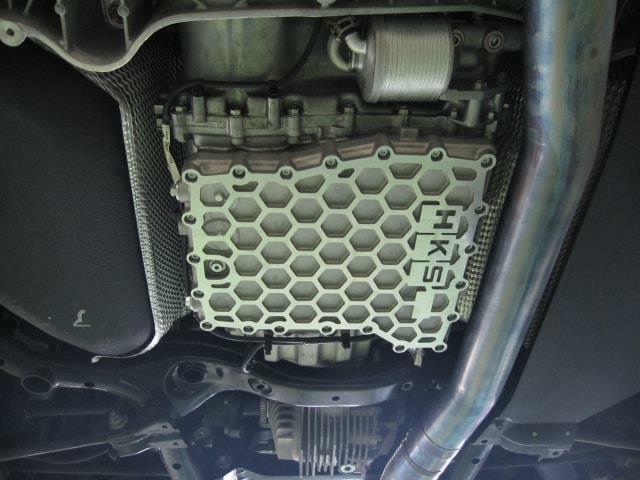 Since the GT-R is continuously evolving as a higher performance vehicle, reducing the load to the transmission with the HKS Oil Pan is highly effective and recommended for the longevity of the vehicle. Replacing the oil pan can improve the strength and rigidity by 30% compared to the factory transmission pan. The stress to the shaft bearing and gear tooth inside the transmission caused by the higher engine output and/or circuit driving can be reduced. 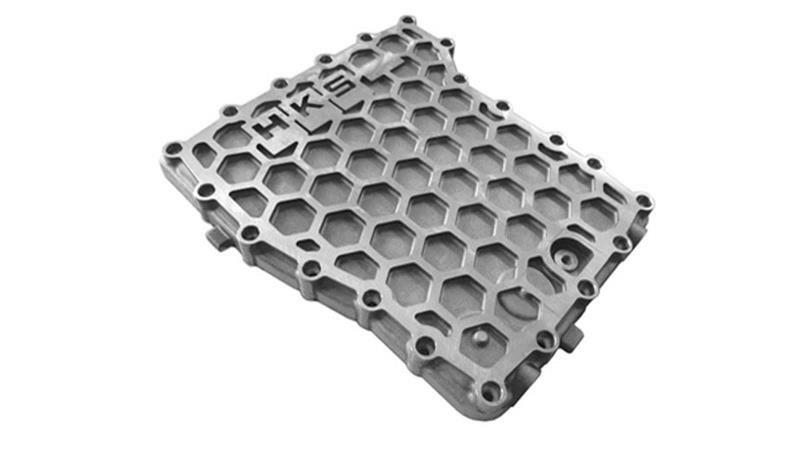 The HKS Transmission Oil Pan will prevent metal debris from entering the oil. The additional internal ribs to the HKS Oil Pan improves the flow of oil to the strainer. The necessary engine oil volume is the same as the factory’s designated volume. Reuses the factory magnet and oil level gauge. Includes two additional M16 sized oil outlets on the side of the oil pan. Also, using these outlets as the oil drainer can drain almost all engine oil remained inside the oil pan.